It takes careful planning and absolute attention to detail. At Celia Clyne we are obsessed with creating the perfect moments in time for our clients. From the pre-meetings, to the tastings, to the coordination on the night – we leave nothing to chance. And our clients get to sit back, relax and enjoy every minute of the event they have been looking forward to, which is exactly how it should be. Adam and I just want to thank you on behalf of ourselves and our families for the amazing job you and your team did on Sunday. The food was amazing and we have had loads of compliments from our guests - some have said it was the best wedding food they've ever tasted!! Thank you again for everything and all your help in the run up to the wedding - it really is appreciated. I wanted personally to drop you a line to thank you for Sunday - everything went perfectly - the food was tip top - the service perfect and attention to detail. We cannot thank you enough, and will, of course recommend you and please pass this on to Celia. Just got home from the lunch and wanted to drop you a quick email. Everything went according to plan. Hannah and the staff were absolutely lovely; nothing was too much trouble. The food was excellent. My 90 year old Auntie Joan said she has never had such a fantastic kosher meal. In fact everyone raved about all 3 courses! Above all, My dad was incredibly happy and enjoyed every moment. So, a big thank you to you and your team. Apologies for the delay in my email - we have just got back from our honeymoon! We just wanted to say a huge thank you to you both, and to the chefs and to all your staff for catering our wedding. The food was absolutely delicious and so imaginative and in keeping with the venue! Lots of people said it was the best wedding food they had ever had! We cannot thank you enough for making it so memorable and for making the day run so smoothly. Just a big thank you for all your excellent catering last night. Your food and your staff were outstanding and this was often mentioned when Nicola and I toured our tables. We will recommend you and as you know we have 3 more sons! Matt and I want to say a huge, huge thank you to you both for catering our wedding. The food was absolutely superb and we had so many positive comments from our guests (not to mention so many people taking photos, particularly of the dessert!). Hannah, thank you for your hard work in the lead up and on the day too, we were very happy with the end result! We just wanted to say a HUGE thank you for everything you did for us in the lead up to and on our wedding day.The food was absolutely amazing! So delicious and so beautifully presented. So many people have said to us since that it was the best food they have had at a wedding. I am just so pleased we made sure that we sat and ate it too as it really was delicious! Thank you also for all of your help in the lead up with the organising of the day and on the day with the seating plan and so on. You put our minds at ease. Please pass on our thanks to the rest of your staff. It was all truly amazing. Thank you so much. I just wanted to send you a quick note to thank you so much for sending the most dedicated staff who just wanted everything at the party to run smoothly. The food was brilliant and everyone was amazed.......Andrew loved every minute of it. Thank you again for such a wonderful day, and thank the staff again for a job well done. They were a credit to you Celia. I look forward to our next party......if you can cope with me! You were so wonderful - thank you so so much.... Food was fabulous and set out so beautifully. Everyone has been raving. The cloths were fabulous too and I loved the extra little touches like the violin case.... I hope our photographer has pictures of it all!! We have a bit of a break from bar/bat mitzvahs now and then will need to start chatting about the next one!!! I just wanted to touch base to say thank you to you and your staff for the fabulous catering on Sunday. The food was wonderful and feedback from our guests was very complimentary as to the taste and originality of the menu and the ability to accommodate the many dietary needs. I will highly recommend you and look forward to attending future functions catered by you. It certainly went with a swing, in no small way due to the excellent food and service. The beef in particular was first class. It is a pity that we cannot find a kosher restaurant which serves meat as good as that! Sincere apologies for not writing before but life seems to have taken over since the wedding and I am only now getting round to emailing you. We would like to thank you so much for the wonderful affair that you catered on the occasion of Abby’s wedding to James. Everything went like clockwork like we knew it would, faultless timing and great food and presentation. And we also cannot thank you enough for stepping in at the last minute to sort out the issues with the tables and the cloths. We know that we have a safe pair of hands with you and you did not disappoint. And we were delighted that you were there to keep an eye on everything for us. Please convey our thanks to your team. Howard and I just wanted to thank you and your team for everything that you did for us on Saturday night. The food was outstanding and the comments that our friends are making about the food and the reception are an absolute credit to you. You did us proud Mark. I get so nervous hosting but from when the table changes were made, the coat lady appeared and the drinks started being poured I relaxed and enjoyed every single minute!! I do not know the name of the young lady who seemed to be in charge with you on Saturday night, but she was an absolute dream. Calming, reassuring and so in control....I absolutely loved her so please pass my thanks on to her as well. Once again, huge thanks and love to you. Just a quick note to thank you and your team for the great job you all did yesterday. It was a real pleasure to work with you and we really appreciated how lovely and efficient the team were. Your ability to adapt to last minute changes without missing a beat was great. As ever, please tell Davide a particular thank you. The evening was perfect and the food delicious and plentiful – we had lots of really lovely comments about the catering – it was so appreciated by last night’s crowd. We just want to thank you and your team for catering yesterday’s event. I sincerely hope that at some point in the future we can use your services again, but in the meantime hope we bump into you at many other simchas. I've just been talking about Limmud and made me think of you again. I wanted to thank you again for the care and attention you showed us all at Limmud. My kids and I had an amazing time and you and your team certainly added to our experience. Your team are truly wonderful. You must feel very proud to have such a hard working and loyal team. Wishing you a happy new year. Just wanted to say thank you so much for providing such a lovely tea on Sunday. Everyone was most complementary about the food and the buffet table looked simply amazing. The whole afternoon went really well and everyone seemed to have enjoyed themselves. We will look forward to the next simcha - whenever that might be! I wanted to tell you we are so pleased to say 100% perfect. We are so happy we made the decision to choose you. Your tasting was brilliant and yesterday all the food and drink was excellent. We have have had the most wonderful feedback from our guests on the quality of the food and service. Thank you for making our day memorable yesterday. Your staff were very attentive. Of course we will recommend you. Hi Celia, thank you for another terrific meal and service at the WJR Pomegranate Lunch. We had lovely feedback on the food - including from my friend who is a restaurateur and even has a Michelin star! We want to thank you from the bottom of our hearts for helping us to celebrate Pauly & Robin's wedding. The catering was perfect, just what we had asked for, and we have already had many complimentary messages which have mentioned how much the food was appreciated. You have been charming, helpful and calm throughout all the preparations, delightful to deal with and utterly dependable. Hope you're ok. I just wanted to thank you and your team, so much for your wonderful catering and attention to detail. Everyone was raving about the amazing food. Apparently the sea bass was outstanding and generous and the you even managed to accommodate the very fussy eaters! Your valuable contribution, helped to make our wedding, a day to cherish and remember forever, for which we are hugely grateful. The food at the Auf Ruf was amazing and again gave us a weekend to remember. Thank you for putting up with some indecisions from us but we were happy to be guided by your knowledge and professionalism, resulting in us feeling secure, knowing we were in safe hands. Many thanks once again and look forward to sharing future simchas with you. Wow Wow!! You made it spectacular! I know how I go on singing your praises but you & your fabulous team just continue to perform in the most magnificent way. Everything was just perfect - the food was yummy & presented beautifully. Your staff are excellent - such a credit to you. I know how hard you work & just want to say you deserve all the success & praise you get. Pippa and Josh, Sharon and Mark and of course Bill and I would like to thank you and all of your team for the effort and hard work you devoted to ensuring that our wedding weekend ran smoothly and fulfilled our highest expectations. 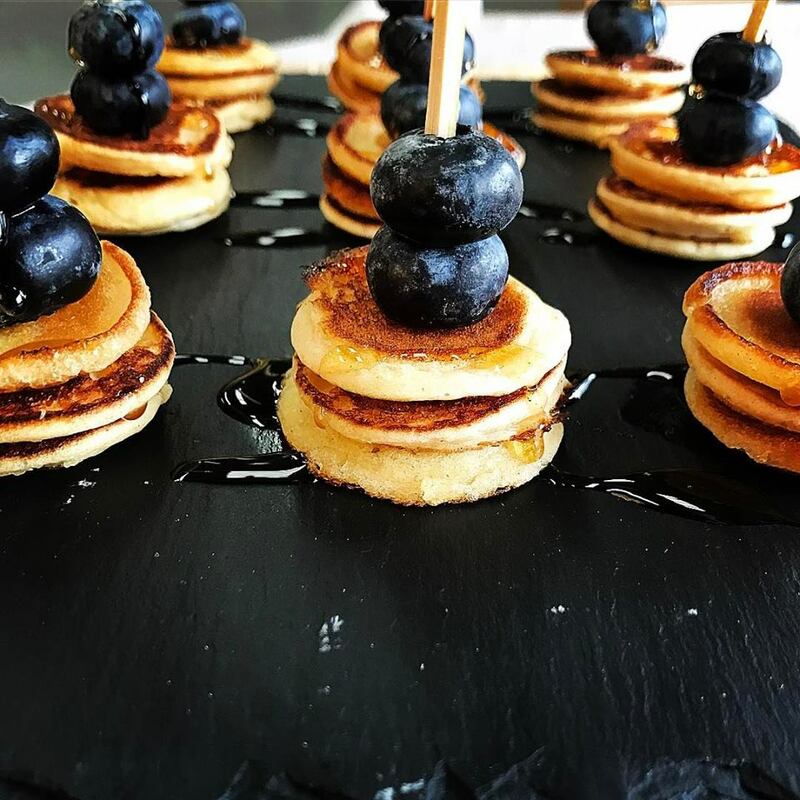 Throughout the weekend from the Kiddush to the Saturday lunch and on to the splendid and delicious dinner at the wedding on Sunday night, you and your team delivered faultless and beautifully presented food which everyone enjoyed. 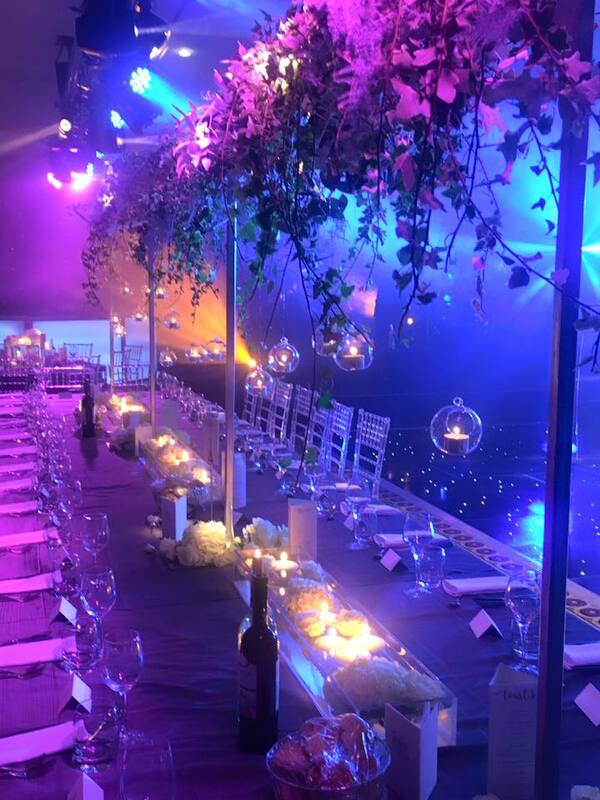 Thank you again for all your support, flexibility and advice in the run up to Pippa and Josh’s wedding and the smooth execution of a mammoth catering task throughout the weekend. We look forward to seeing you soon. I hope you are recovering from last week! I just wanted to let you know how enormously impressed and grateful we are with the food you and your staff provided for us at Limmud. I can barely imagine the logistics involved, but the results were delicious, nutritious, diverse and plentiful food at every meal. Thank you once again for a job superbly accomplished. There were 2 stars at the Hilton Glasgow on Sunday - Katherine Jenkins who I am sure you will agree was absolutely outstanding and the other star - Celia Clyne Banqueting was in an identical class. I am delighted that we booked you for our event and will not hesitate in doing so again anytime in the future. 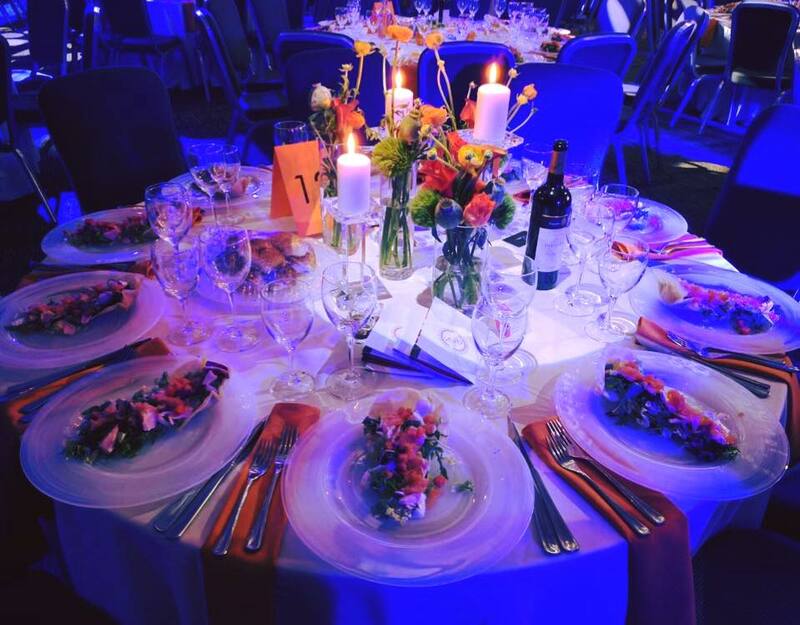 Be assured that our guests were amazed at the quality of the meal which far surpassed anything that they have ever had at any other charity event. You, your head of staff; Maria, your head chef; Peter, along with the rest of your team did not let us down and please accept my most sincere thanks for absolutely everything. 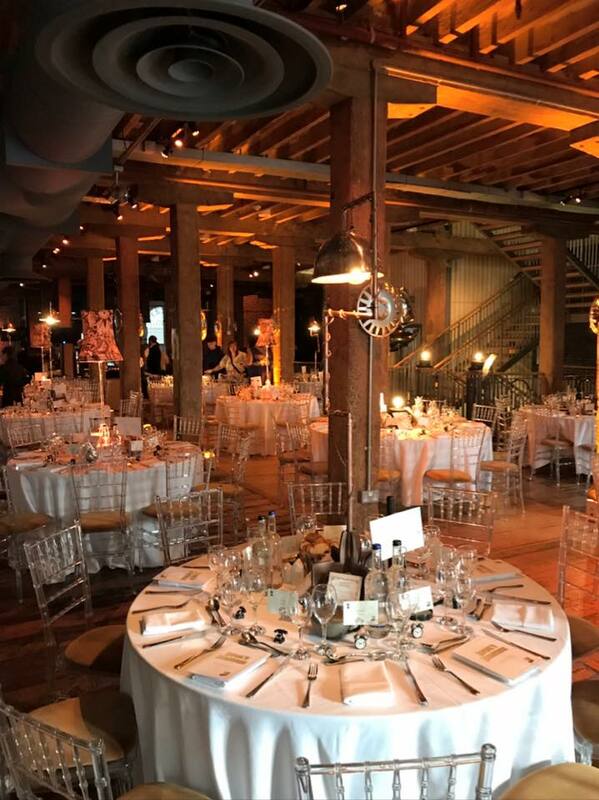 I do hope that our event was able to showcase just what Celia Clyne Banqueting can do.